Nobody yet has forgotten Herman Cain's 999 plan. We remember it not because we remember the complex notions underneath but because when those notions were explained to us the first time, we lumped tham as good or bad under a label in our minds. That label of course is 9-9-9. Cain’s plan is actually a good plan though all plans go through some tweaking to make them fit the greater good. Cain’s plan, if tweaked and if implemented would have been a good start but as a tax policy-only plan it is still not enough. The Kelly plan has a nice, easy to remember label on it just like Cain’s plan but it is far more comprehensive and if I don’t say so myself, it is guaranteed to work. I do believe that Pennsylvanians will latch onto the notions of the RRR plan. I would like to figure a way to have the components of R-R-R etched permanently in the minds of all Pennsylvanians. Just as 9-9-9 is not silly but was merely a contrivance to recall the attributes of the Cain Tax Plan, iR-R-R is not silly either, and it too is very easy to remember. This acronym, R-R-R has been around for a long time but it was always known as the 3 R’s, Reading ‘Riting and ‘Rithmetic. Like the 3 R’s, the R-R-R plan is so silly that nobody can forget it once they hear it and that will help make sure politicians get all of the Rs in the plan to work for Americans. Think of the first time Herman Cain said 9-9-9, and you will know what I mean. Nobody ever had to remind you that 9-9-9 was Herman Cain’s tax plan. So, my top priorities would be to work through all the Rs and get the ones done first that are prerequisites to the other Rs. Actually, the RRR plan consists of four sets of three Rs each and if followed well, all of the Rs together will result in major economic recovery and Job creation Corporate leaders and Government leaders and Union leaders may not like all the Rs in RRR4 but we the people will gain immensely. There is probably nobody out there who would have suggested I re-title the book and the RRR program to the thirteen Rs. And, yes, I know I cheated by placing a double R in the last set of Rs. I know that makes thirteen so I used poetic license. But, if you don’t tell anybody; neither will I.
I have been asked to discuss some of the challenges and rewards of running against an incumbent senator? That is a really tough question!. One thing we all know for sure is that we can’t fix the problems in Washington by sending back the same politicians who created them. Pennsylvania needs national representatives –in the House and the Senate, who are of the people and for the people. I am not a politician. I am a Pennsylvanian, and I fit those qualifications. For all Pennsylvania citizens, I offer you my promise to work for you, the people of this state, period. I will work in the same fashion that I have expected representatives of the past to work for all of us. I will work so that the opinions of regular Pennsylvanians count. My goal in running for office is not to become a career politician. Actually besides an early death, being a politician is the last thing I want so I will not become one. As I look into the future, this is the last time I will run for public office. Trying once for US Congress and now for the US Senate, I have put myself on the line for my country. There is only one thing that I can do to fulfill this promise. I will not run in 2018 or ever again. My plan is to be back in Pennsylvania in six years. In this way, another regular citizen can get elected to serve by we the people. The worst that may happen to me by running for the US Senate is that you may want someone else. That is a risk I will take and it is OK if you pick somebody else. Please note, however, that I come with none of the baggage of a career politician, and if I thought for one minute that Pennsylvania would in all cases have a good person represent the Commonwealth in Washington, I would take my hat right out of the ring and defer to that person. All of us want an honest representative for the people. I do hope to be that representative but I am just as willing for it to be another regular person who wants what is best for Pennsylvania and the United States. The people of Pennsylvania have an obligation to decide in April and again in November. Who should occupy one of the precious two US Senate position reserved for Pennsylvania. I would be honored to be the Democratic Senator from Pennsylvania. I am available and right now, and from my vantage point, it looks like I am your best choice in April, when I run against the incumbent Robert P. Casey Jr. Regardless of whether you choose to elect me as your Senator in November, the only path to bringing good government back to this country is to defeat the career politicians such as Robert P. Casey and their progressive, big government, Marxist ideas. My recommendation is that Pennsylvanians get this job done early. April 24 sounds like the best day to send Bob Casey back to Scranton. Thank you Senator Casey; but no thanks on the “again” part. Let me tell you a little bit about myself now so that you know that I am a regular guy, yet I am still a very capable person. In my most truthful moments of self meditation, I say to myself, why should I run for elected office. It is not easy. It is not without risk, and with minimal financing, it is not even close to having a probability of success. Besides that, I know it will cost me some money and I am currently unemployed. My wife, who knows everything about me knows that I am not interested in living in Washington and being away from Pennsylvania. So, she asks me continually if this is something I really have to do. Would I not be fine staying in Pennsylvania, complaining to my cronies about how things are and how they should be? Would I not be fine if you choose not to elect me? Yes, I tell her. I would be fine, but I feel I have a mission to try to help and I think I can. I ask myself when I get frustrated with my own representative and my own Senators: If not me, then who? The bottom line for me is that I am as reluctant to run for office as you probably are. It is an awful lot of work. I am probably just older and I think it's time for me to help America simply because I believe I can. Instead of why to this calling; I now say, why not? My father had very little money as I grew up and yet, I was able to get a College Education. I made my decision to go to College when I received an academic scholarship (1/2) from King’s College in Wilkes-Barre and I was awarded a National Defense Student Loan (1/2). For spending money, I was given a 15 hour per week job under the Work Study program. If it were not for rich people and other people paying their taxes, I would not have had the resources to gain my B.S. Degree in Data Processing, the precursor of today’s Information Technology programs. Because I worked hard for my degree and graduated with honors, I was able to get a job with the IBM Corporation and I retired as a Senior Systems Engineer. While at IBM, the company paid for my M.B.A in Accounting and Finance from Wilkes University. From After IBM I formed my own IT Consulting firm and I joined the Business Faculty at Marywood University after having taught College part-time for over thirty years. America and its people through a wise government helped me get started on a long and successful career. I am ready to give back. I am saddened that the government is in the way of our newest college graduates enjoying similar success. You may know that 85% of the college graduates in 2011 were forced to move back with their moms and dads. Nothing short of a reindustrialization of America will turn this around, and this is one of the major R’s in the RRR plan for economic recovery and job creation. I am for America and Americans first, and only when there are no Americans to fill American jobs should we look to any other country for help. Our children deserve better. if elected, you can bet I will be proud to serve. I can assure you that I will work as hard for the people of Pennsylvania and the rest of the US as I have always hoped my US representatives and Senators would have worked for me. And I am not talking about delivering a load of pork to the state—just honest service to help us all. I think I have a good chance if the people of PA pay attention to the issues and my suggested solutions to the problems facing America. Though in my congressional run in 2010, I accepted no contributions, just to mount a grassroots campaign cost me about $4,000.00. I do not have $4,000.00 to invest this time around, as I am now unemployed. Some of my good friends tell me that when I was fired (job was eliminated) from my Assistant Professorship at Marywood University two weeks after the general election in 2010, politics were in play. Marywood does receive a lot of grants from the Federal government and you can bet the incumbent was not happy about a Marywood Professor challenging the status quo. My Scranton friends tell me that I was fired simply because I ran for Congress as Marywood may have offended some of its big donors and may have been embarrassed by my running. Who knows whether a word from a big University backer was all it took. As I said, I am a regular guy. Regular things, good and bad happen to me. I have a good family name but nobody jumps through hoops to please me because of my name. Some of my friends also tell me that Marywood, though promising to OK my Unemployment Compensation application, blocked it so that I could learn a big political lesson. I don’t know the real reason but I feel the pain of unemployment as much as anybody else, especially since I am still not able to collect. Do I know what Marywood’s role was in my losing my job? Yes, they let me go though my student evaluations were excellent. Do I know what Marywood’s role was in my denial of unemployment compensation? Yes, I do! They blocked it and sent their second ranking official to a hearing to assure that I was denied. Do I know whether it was political or not? No, I do not know! Perhaps it is just coincidental. Ask Marywood if you ever get the opportunity. Consequently, if I must depend on donations, I have little chance at success as with no funding, I do not have a huge advertising budget. However, my web site, kellyforussenate.com does accept campaign contributions and I do plan to stay in the race. People who hear my message do like the notion of conservatism after tasting the works of the socialist hard left for the last five years. However, I admit that it is difficult to get the message out. Despite all the hardships, I do have a great opportunity to be elected because the people of Pennsylvania are paying more attention to who is running. I may be the only opponent in the Democratic primary against Bob Casey and that too will give me an edge as many Pennsylvanians would vote for a block of granite rather than give the Casey Obama team another six years. Pennsylvanians have had enough of Washington cronies and policies that hurt the people of this state. In a world in which the people have had enough of dirty politics, I am the ideal candidate. The playing field is about to become level. Why should any Pennsylvanian vote for somebody who takes our money and then uses it to buy our vote by providing us with money from the public treasury? Why should any Pennsylvanian vote for somebody who takes our money and then uses it for massive legislative payoffs in exchange for their support of poor legislation? A bribe is a bribe and when Bob Casey Jr. voted for at least one bribe on Christmas Eve, 2009. He thought that you would not notice. Nonetheless, I noticed and I bet you noticed. Casey voted to bribe Ben Nelson in the famous Cornhusker Kickback scandal, and I do not recall his ever suggesting he regretted it. Nelson’s Nebraska was to get $45 million from our federal government to pay Nebraska’s costs for Medicaid expansion. Meanwhile Pennsylvania’s Casey agreed while Pennsylvanians remained unfunded. This all happened in the open in the first cut at the Obamacare bill that was passed by the Senate and voted for by Bob Casey Jr. A bunch of other states would also have benefited from Casey’s vote for a number of legislative goodies tucked into this early Obamacare bill. Casey knew these were only put in to quiet reluctant Democrats, none of whom were Pennsylvanians, yet he fell hard behind the bill because it was important to his new best friend Barack H. Obama. For example, there was $100 million for Democratic Sen. Mary Landrieu and Louisiana. There was another $100 million for former Sen. Chris Dodd and Connecticut. There were also millions in extra Medicare coverage for Democratic Sen. Max Baucus of Montana. Sen. Bill Nelson (D-Fla.) was slotted for a multi-million dollar treasury grab for 800,000 Florida seniors to defray the cost of their Medicare Advantage. And, not to be left out, Vermont's Sen. Patrick Leahy had his hand on $600 million in Medicaid benefits to help his state. Bob Casey Jr. demanded nothing for Pennsylvanians. Yet, the unknown Senator was fine with giving lots of Pennsylvania dollars to other states. Is that why Pennsylvanians voted for him? Our legislators have become thieves. Most of them are multi-millionaires in their own right, but they never choose to use their own dollars for their pet projects or for their bribes. They use our money. They peddle their influence like whores trying to attract the finest clients. They take from us and from the borrowed money from China in broad daylight and give to their colleagues so that they can have their way and they can gain more power. They think we are so dumb that we do not notice. Don’t you think that it is time that we the people have our way and not our elected officials? Shame on them all! They are ruining America and they do not care as long as the gravy flows their way. These violations of the public trust are flagrant. Yet the biggest violations come when our elected representatives sell out to lobbyists for personal favors. Senators and Congressmen and Congresswomen are no longer honorable or the country would be in better shape. Many of them are corrupt and many others are simply bums that should be thrown out in each election. There are good men and women out there who would be happy to do what is right for America rather than do for just themselves. If our legislators were as honest as they would like us to believe, they would take oaths to never speak with lobbyists who slant their opinions and provide a lot of funds for their reelections. 2. Scaredness (Yes, I will be as scared in the chambers as I was in my first classroom, and I will be afraid to not do exactly what is best for my constituents). 5. A voice in the Senate to represent the interests of the citizens of Pennsylvania NEPA, and all Americans when appropriate on national matters. I have been asked what I might be able to offer to help areas of Pennsylvania including the major urban and rural areas. I admit that do not profess to know much about the western part of Pennsylvania. I do know that Pennsylvania is a huge state and I am aware that a Senator represents the whole state. During the primary campaign, I will be lucky to get to visit half of the counties with my limited budget but I will learn as much as I can for all of Pennsylvania. Casey has millions already in his war-chest, and he worked for the state in official offices for many years. I think at a time when politicians are not the answer to the countries woes, Casey’s experience and knowledge of PA is not an advantage. I have no war chest though the donation account is open for business. I have yet to receive dollar one! I recognize that all of us in Pennsylvania have been shortchanged over the years by policies that do not protect us well, and which do not promote our major advantages. I will be an America-first representative as most of the harm we have all suffered in Pennsylvania has come about because of Washington, and the infectious cronyism and corruption. When I ran for Congress in 2010, I had friends and neighbors tell me that they hoped I would not ask for their signatures on my nominating petition or worse yet, for them to have to ask their families and friends to carry the petition as they were deep friends with the incumbent. Our incumbent had 26 years in office and had gotten the politically elite in the area many of their jobs. Yes, this is corruption as those who do not frequent such political circles are excluded simply because they are not part of the elite. Ironically, in my neighborhood and the neighborhoods I visit, I cannot ever recall the incumbent visiting any of these people in their homes. Funny, isn't it? Yet, they are best friends. I don’t think that US Congressmen or Senators should dip into local politics as it can only make bad politics even dirtier. However, we must know the needs of our constituents as they struggle in the modern age. I think we must solve the US problem before we can solve the problems in the 67 counties of Pennsylvania. 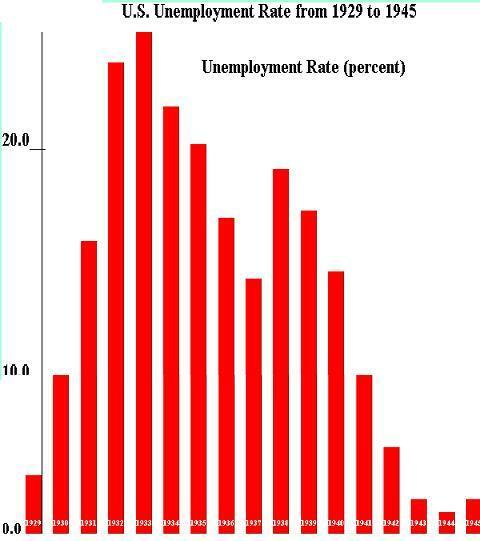 For example, Pennylvania’s unemployment rate has again begun to go up. We need industry in the US and we need industry in PA. Pennsylvania is an ideal state for heavy industry and Ben Franklin would be proud if it were the spot to begin the re-industrialization of America. Such a plan would pay off well in all counties of our state. Of course, today's problem is that there is a de-industrialization of America under way at the behest of the Democratic Party, who for its own reasons are against Pennsylvanian's holding high paying jobs. Just look at all the jobs at stake in the Keystome Xl Pipeline debacle which will cause Canada to sell its oil to China rather than America. How does keeping oil from Canada out of the US help jobs and energy independence? It doesn’t! Exactly! Yet Casey supports Obama at every turn. You may know that I wrote another book in December called “Kill the EPA,” not because I like breathing coal dust but because enough is enough when there is no way to pay for regulations that will put whole industries under. Ask the small farmers in the state how much Bob Casey has helped them. You may know that 25,000 small farmers in PA have packed up and called it quits. Maybe the EPA will get us some farmland on Mars to make up for this loss? Casey and Obama love the EPA more than unions and more than jobs. From the outset of this Administration, the EPA’s burdensome new regulations have been killing jobs and raising energy costs for Pennsylvania families. This should again remind voters that once again our Senator, Bob Casey Jr. puts his loyalty to President Obama over the best interests of his state. For example, according to National Economic Research Associates, the Obama EPA’s onerous new regulations will hurt Pennsylvania’s crucial coal industry, increase electricity costs by at least 12 percent in 2016 and kill more than 1.4 million jobs nationwide. Can we really afford that kind of love? “Instead of fighting back against the Obama Administration’s job-killing regulations, Bob Casey is busy jetting around raising campaign cash with President Obama,” said National Republican Senatorial Committee (NRSC) spokesman Chris Bond. It is abundantly clear that the only job that Senator Casey cares about besides the president’s is his own. I care about Pennsylvania and America and though I am a lifelong Democrat, I have no allegiance to Barack Hussein Obama because he is bad for America. My R-R-R plan centers around Americans being a priority in America. Pennsylvanians, who have always enjoyed the best industrial jobs in America from the tough coal mines to the hard steel industries, are ready to become prosperous again but there is nobody facilitating the materialization of this need. .
Mercantilism with effective capitalism and a sane tax policy are needed to incent businesses to stay in the US. For the last twenty years, this has been missing and nobody, even the press, is talking about it. Businesses should not be rewarded with tax breaks for taking jobs overseas and there is more to the message than simply not permitting corporations to be free. I outline the whole deal in my January 2012 book. All Pennsylvania counties will benefit from a re-industrialized United States that is ready to protect onshore businesses and levy tariffs against those that offshore. As soon as we have some PA industry wanting to ship things overseas, we can then work on improved rail and then passenger rail. None of Pennsylvania’s counties should have to be remote from anything on the East coast. Then, with a long-term plan we'll work west. Nothing happens overnight in Pennsylvania but with a real plan we can assure our success and move forward a lot faster than if we were stumbling bumblers like we have been recently. Saying no to step one of any recovery plan just because it will not bring step five results immediately is the dumbest thing Congress has ever done.